Perhaps my favorite aspect of the Twelve Days of Christmas at The Restaurant at Meadowood is the “cross pollination” that takes place among the chefs and cooks here at Meadowood Napa Valley. There’s quite a bit of dialogue among chefs nowadays, thanks to the internet and the well-ridden circuit of international chef congresses and conferences that bring proximity to what would otherwise be a rather scattered community of culinary artists and voices. However, rarely do those meetings allow for any meaningful interaction among the chefs: they pop in to make their presentation, sit through a few others’, and move on to the next conference, where they’ll make the same presentation, and sit through the same ones they saw before. 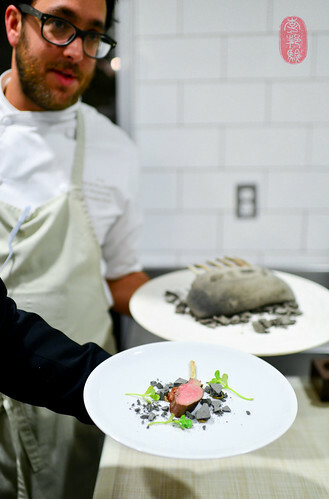 At these events, rarely do chefs get to taste each other’s food, or work alongside each other. These congresses and conferences are best at providing a quick introduction – a snapshot – of what is happening around the culinary world. But the Twelve Days of Christmas allows for a slightly more intimate, more thoughtful exchange to occur. And this is why this event captures my interest and support more than many others. 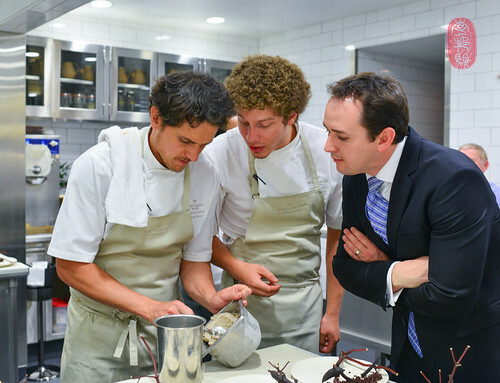 I see, first-hand, a more meaningful conversation happening among the guest chefs and, perhaps more importantly, with the cooks, who get to work alongside the guest chefs. They talk with each other, they learn from each other, and they taste each other’s food. This is an invaluable opportunity and education for young cooks, and for the visiting guest chefs. 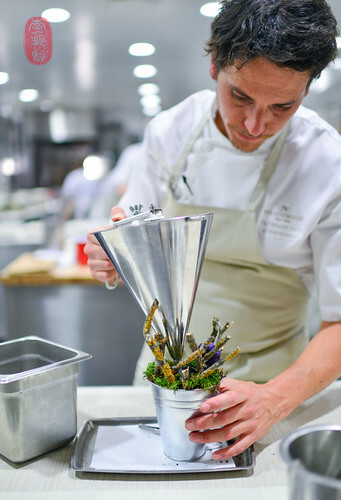 The guest chefs spend at least two days in the kitchen at The Restaurant at Meadowood, getting an immersive introduction to Kostow’s kitchen culture, the community that supports and surrounds him, and the terroir of Napa Valley. They tour the restaurant’s collaborative garden at the Montessori School of St. Helena, and engage with local producers, winemakers, and culinarians. Needless to say, the collaborative dialogue at the Twelve Days of Christmas is especially rich when guest chefs introduce a perspective or culture that is unfamiliar to the Meadowood Napa Valley community. That is why I am particularly excited about this year’s roster of guest chefs, which brings a diversity of culinary voices – foreign and domestic – to Napa Valley. I had the great fortune of spending a month in Chile this year. Over two trips, I was able to visit a few of the country’s distinctly diverse regions, getting to know the local cuisine, culture, and ingredients. For much of my time there, I had a great tour guide: Rodolfo Guzman. He’s chef and owner of Boragó, a fine-dining restaurant in Santiago, the country’s capital. But, without this invaluable, cultural context, “conceptual cooking” (that’s what I call this zeitgeist of culture- and terroir-specific cooking) can often leave the diner confused. 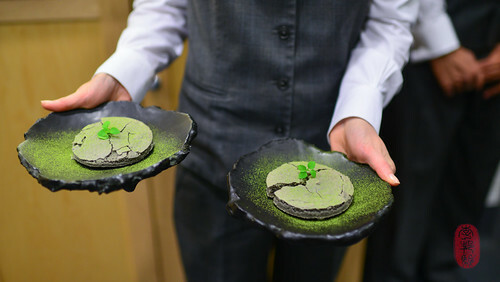 In a world of gastronauts, who jet from one far-flung “conceptual” meal to the next, and who have not the time or resources to invest in the groundwork necessary for understanding a chef’s specific, cultural perspective, communication between the chef (often through the service staff) and the diner is essential. 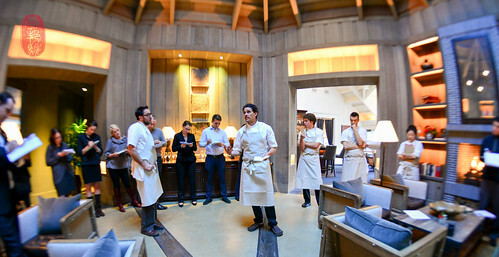 Every day at 16.00, the front-of-the-house staff at The Restaurant at Meadowood gathers in the lounge for the chef line-up. Not only is this an opportunity for Kostow and the visiting chef to go over the night’s menu with the servers, and nail down the logistics of service, but, it’s also an opportunity for the visiting chef to lend context to his or her dishes. And for Rodolfo Guzman’s cooking on the second night of the Twelve Days of Christmas, context was particularly important. I had eaten all of the dishes that Guzman presented at the Twelve Days of Christmas at his restaurant Boragó earlier this year. And, in many instances, I had been to some of the places in Chile that inspired them. So, having the benefit of context for Guzman’s cooking, I’d like to help explain two of his dishes. The people of Chiloe – Chiloe is an archipelago at the northern end of Patagonia – have a tradition of moving their houses by rolling them on logs (instead of building a new home, they move their old one to a new location; it’s called “minga”). This kind of move requires the help of family members, friends, and neighbors. After the move, the community celebrates with a “curanto.” A large hole is dug in the ground and filled with ember-hot stones. The pit is filled with seafood, potatoes, sausages, and meat, and covered with the inedibly thick, fleshy leaves of the nalca plant, which seals the hole and allows the food to steam. It’s not unlike a luau, or a clam bake. Guzman considered digging a hole in the tiny garden outside of Boragó to recreate the curanto experience for his guests. But he decided, instead, to simplify the the curanto by distilling the ingredients of a curanto into a broth, which he serves in a ramekin embedded in a bucket filled with dirt and moss (to represent the hole that is dug for the curanto), and surrounded by twigs (to represent the forests of Chiloe). Perched in the branches of Guzman’s table-top curanto is a potato fritter, not unlike the potatoes served with the curanto (Chiloe is also known for its hundreds of varieties of potatoes). Northern Chile is home to the driest place on Earth. The Atacama desert gets less than an inch of rainfall each year. And yet, plant life exists there. One of the few plants that can survive in this harsh climate is a shrub on which grows a flowering bud that, when dried and ground into a powder, becomes an extremely aromatic spice that Chileans call “rica rica.” Rica rica looks like matcha (green tea powder) and smells and tastes like a mixture of dried dill and eucalyptus, with a strong streak of menthol. Chileans use rica rica in many different ways (I’ve seen it in pisco sours, and have had it baked into a brownie). Guzman made ice cream with rica rica. He put the ice cream in a bowl and capped it with a soft disc of almond meal meringue (it’s basically the meringue portion of a macaron). With a slightly cracked surface, the meringue disc looks exactly like the arid, cracked floor of the Atacama desert. Guzman powders the desert dessert with rica rica and nestles a sprout in the crack to represent the rare plant life that grows once a year after the annual rainfall. Given the cultural specificity of Guzman’s cooking, Kostow realized that there was no way he could approximate the flavors or Chilean influences of Guzman’s food. Instead, he echoed Guzman’s terroir-specific approach to cooking, and presented dishes that showcased Napa Valley. My favorite Kostow dish from this dinner was a rack of lamb that had been sealed and baked in crust made from the grey clay of nearby Calistoga. The entire menu from Rodolfo Guzman’s dinner, with wine pairings by the guest vintner Realm Cellars, is below, along with a slideshow from the second day of Christmas at The Restaurant at Meadowood. If you would like to see the photos in a larger size, click through the slideshow to the Flickr album. With cheese purée and prosciutto. with a purple potato dumpling. Wrapped in salted apple leaves. Ice cream and macaron of rica rica from Atacama. Photos: Rodolfo Guzman’s “Atacama Desert” dessert with rica rica; Rodolfo Guzman, Sergio Meza, and Nathaniel Dorn; Rodolfo Guzman and Christopher Kostow at staff line-up; Rodolfo Guzman plating the curanto; cook Carl Alexander smelling the rica rica on the desert of Atacama; Christopher Kostow and the rack of lamb baked in Calistoga clay. ~ by ulterior epicure on December 10, 2013.